There will be only one (last) round of the Second Stage in Metropolitan League. Here is the last round review presented by ESL. 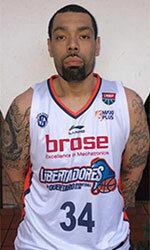 The biggest surprise of round 5 was guest Luqueno's (#2) road victory over Ciudad Nueva (#3) 86-81 on Saturday evening. Luqueno maintains second place in League with 3-2 record behind leader Felix Perez. Ciudad Nueva at the other side keeps the third position with three games lost. Luqueno are looking forward to face league's leader Felix Perez in Asuncion in the next round and it will be for sure the game of the week. Ciudad Nueva will play against Campo Alto and it may be a tough game between close rivals. Another exciting game was a derby match between two teams from Asuncion: Olimpia (#2) and Sol de America (#3). 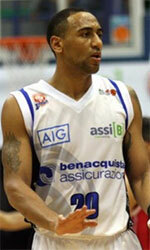 Olimpia (4-1) crushed visiting Sol de America (1-4) by 30 points 99-69. Defending champion maintains second place in League with 4-1 record despite having the same number of points like the leader Felix Perez. Sol de America at the other side keeps the third position with four games lost. Olimpia's supporters look forward to another derby game next round, where their team will travel locally in Asuncion to the arena San Jose. Another exciting game was again a derby between two local teams from Asuncion: San Jose (#1) and Libertad (#4). Libertad was defeated at home 68-78 and even the advantage of their own court did not help. San Jose maintains first place in League with 5-0 record. Loser Libertad still closes the standings with five games lost. San Jose's supporters look forward to another derby game next round, where their team will face at home their local rival from Asuncion Olimpia. An exciting game between Top Four teams was played in Asuncion. First ranked Felix Perez faced 4th placed Campo Alto. Host Felix Perez (4-1) smashed guests from (1-4) 84-65. Felix Perez maintains first place in League with 4-1 record. Campo Alto at the other side keeps the fourth position with four games lost. Felix Perez's next round opponent will be league's second-placed Luqueno on the road and it will be for sure the game of the week. Campo Alto will play against Ciudad Nueva and it may be a tough game between close rivals.